Outsource Equipment Company supplies material handling equipment to aerospace companies, industrial parts suppliers and many other industries – from manufacturing to distribution and processing, to wholesale and retail sales operations – in everything from pharmaceuticals to sporting goods. Here, we share ways that our clients’ businesses may be able to help your business. 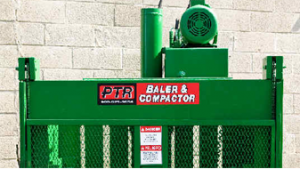 Read about the benefits of a warehouse baler below.